A few years ago, when muggings, carjackings and kidnappings emptied out the city center, residents began referring to Nairobi as "Nairobbery." That's a little unfair. You shouldn't walk around at night and Kenya's dysfunctional government does little to improve crime  or traffic or corruption or one of the world's biggest slums. But Nairobi today remains what it has long been: by day, the hectic, cosmopolitan hub of East Africa; by night, a malaria-free city of cool evenings and quiet tropical gardens, best enjoyed with a cool Tusker beer. 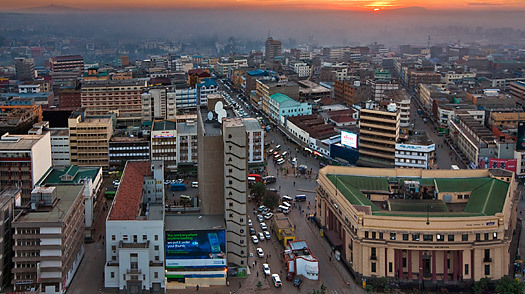 Here are the 10 best ways to spend time in Nairobi. Nairobi Guide: Find travel deals, hotels and more!